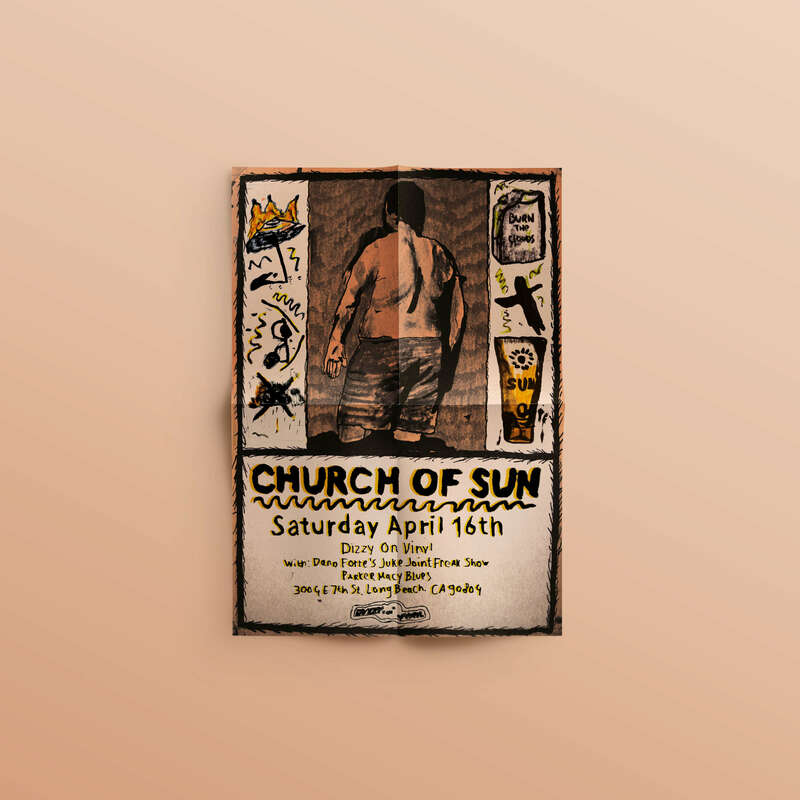 Church of Sun is a band from Long Beach, California. They approached me to design a poster for a mini tour. When I thought of Church of Sun, I thought of a group of people who hated everything that creates shadow. So on the poster you see someone who is burning nicely, umbrellas are on fire, etcetera. That are the things that true worshipers or sunlight must do.